Greetings one and all. I assume you discovered this blog after reading my article on Drummer Boys in the latest issue of Modern Drummer. Off Beat is a blog that focuses on drums and drumming and covers a variety of subjects that range from history to technique. 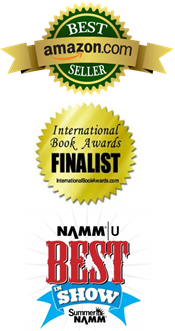 If you are interested in reading past published articles and interviews visit the Books-Articles page (above) on this blog. 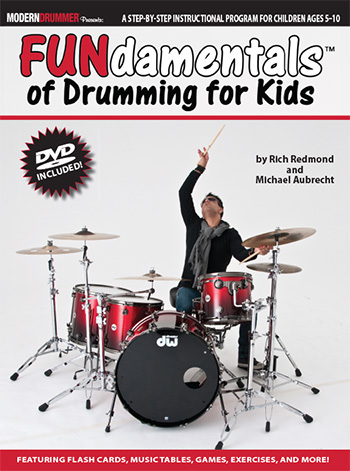 If you are interested in additional information on my latest book FUNdamentals of Drumming for Kids or if you wish to purchase the book/DVD in either print or ebook, visit http://www.moderndrummer.com/fundamentalsofdrumming/. I hope that you will take some time to browse past postings and will make Off Beat one of your usual stops. Thank you. Most people are unaware that the youngest soldier ever to receive the Medal of Honor was a drummer boy named William H. “Willie” Johnston. 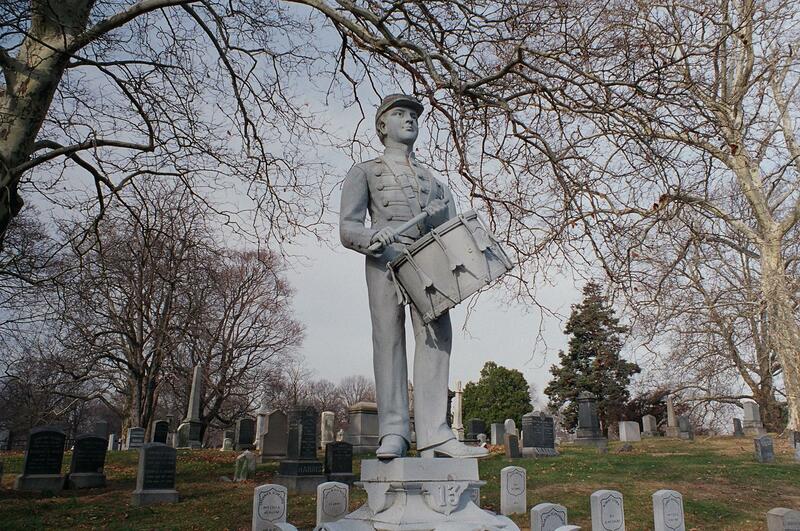 Johnston was a drummer in Company D of the 3rd Vermont Infantry. During his service he participated in several events including the Seven Days Retreat in the Peninsula Campaign where he was said to have served in an “exemplary” fashion. During this event Johnston was the only drummer in his division to come away with his instrument during a general rout. His superiors considered this a meritorious feat, when his fellow soldiers had thrown away their guns. As a result, he received the Medal of Honor on the recommendation of his division commander, thereby becoming the youngest recipient of the highest military decoration at 13 years of age. Johnston had enlisted at the same time as his father in June of 1861 and was assigned to a regiment that was camped outside of Washington. He was present for duty but was originally denied pay due to his age. Muster rolls from that time describe Johnston as being 11-years-old and five feet tall. His first engagement took place at Lee’s Mill in Virginia on April 16, 1862. His father was shot and lost a portion of his hand while charging the enemy. Following his next campaign, the Seven Days Battles from June 25 to July 1, 1862, Johnston was cited for bravery. During a retreat many men threw away their guns and equipment to lighten the load. 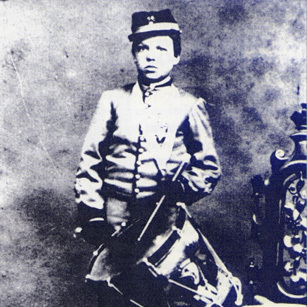 Johnston retained his drum and was the only drummer boy to bring his instrument off of the battlefield. Secretary of War Edwin M. Stanton presented the Medal of Honor award to Johnston on September 16, 1863. (It is said to have been directed by President Lincoln himself although no definitive proof exists). 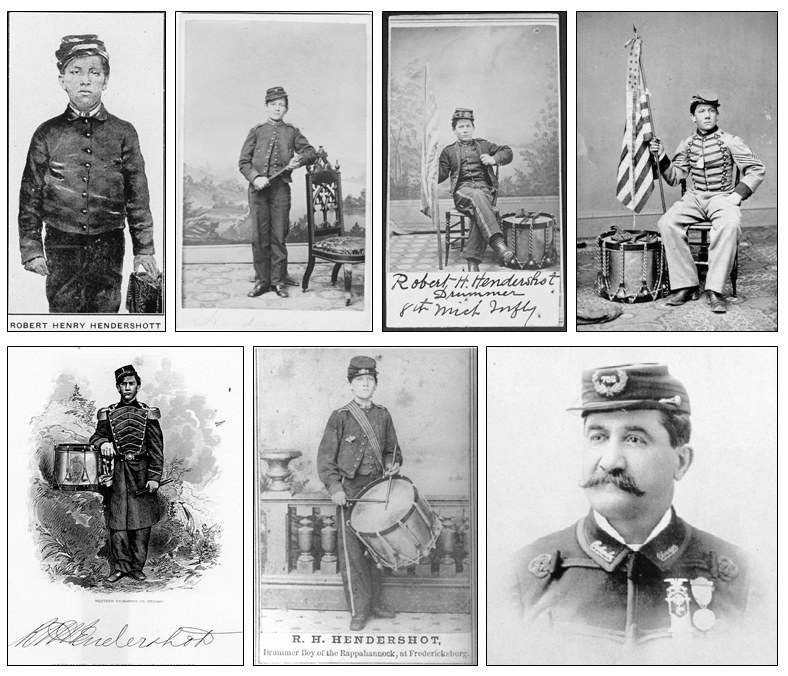 Following the Peninsula Campaign, Johnston served as a nurse in a hospital in Baltimore and was transferred to Company H, 20th Regiment of Veteran Reserve Corps, where he played in the regimental brass band as Drum Major. This compact reference book begins with the original 26 Essential Rudiments of Drumming. These are followed by 36 passages and pieces based on the rudiments, all useful for the drum corps teacher and/or player. 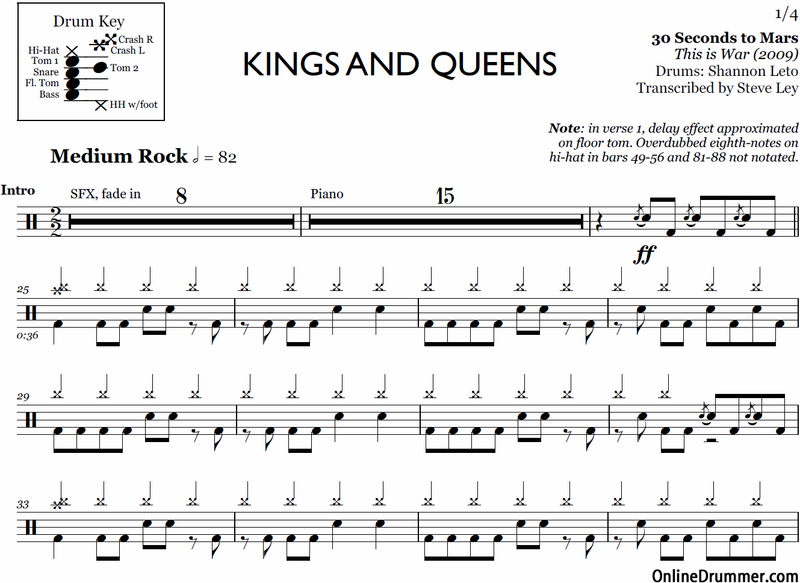 Military Drum Beats is the perfect introduction to corps rhythms. In the words of the author, this is the ideal book for improving control, speed, flexibility, touch, rhythm, lightness, delicacy, power, endurance, preciseness of execution, and muscular coordination, with extra attention given to the development of the weak hand. 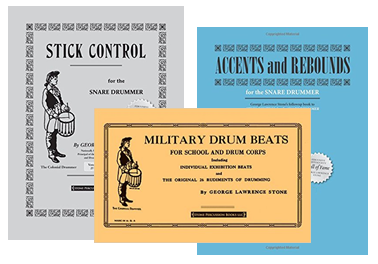 The follow-up to the classic Stick Control, this book builds on the basics with accent routines and more advanced rhythms to improve the player’s finesse and control. This book includes sections on accented eighths, dotted notes, and triplets, as well as rebound control and more. A couple years ago I penned an article (Read Here) for Drumhead magazine on Steve Goold (Sara Bareilles, Owl City, Go Fish). Steve had become one of my favorite drummers after seeing a 15-part drum clinic that was posted on YouTube. (Watch it here). As a Christian I gravitate towards people who have found a way to incorporate their faith with their work. Steve is a master at this and works as both a session and performing drummer. His originality shines through in performances such as his version of “I Chose You” on Drumeo’s channel. Another distinctive aspect of Steve Goold’s style is the unique drum sets that he routinely uses. The most renowned of these is the ‘GLO-Kit,’ (See here) which was created by the incredibly innovative folks at Risen Drums in Minneapolis. Keith Anderson, founder and master craftsman at Risen started the company 14-years ago as a hobby, first building and playing the first eight Risen kits himself. In an email interview with me, Keith explained the story behind the ‘GLO-Kit’ and the customer-service philosophy that has enabled his company to thrive. “Most of what we do here today is based on trial and error,” he said, “and lots of study of sound waves and wood types. My dad always said, ‘passion runs the world,’ and we say that often here at Risen. Our mantra is a simple one: We love drums and that’s exactly why we do this. We also believe firmly in establishing personal relationships with all of our customers. For that reason we are a true 100% custom-drum shop.” He added, “We don’t build anything until it’s ordered and everything is designed and built one at a time. There is no way to buy a Risen kit other than right here in the shop in Minneapolis. So everyone who buys a kit from Risen talks to me. We are not interested in an assembly line or mass production. We are dedicated craftsmen, and every drum that comes out of our shop is a part of us. Over the years we have been blessed to know and work closely with a lot of great musicians.” Risen artists include: Lester Estelle Jr. (Kelly Clarkson / Big ‘N Rich), Randall Harris (Need to Breathe), Brandon Commodore (Mint Condition), Adam Silverman (Lauren Alaina) and “the Bwack” (David Crowder Band). He added, “The drum shells on the ‘GLO-Kits’ are acrylic white, not clear, so they allow the colored light to pass through, but still remain relatively solid in their appearance. We lined them with LED strips to an XLR jack on the side of the shell, so there are no unsightly cords or anything hanging off the side. We installed coated heads on top and on bottom so the entire appearance is like that of a lampshade. These drums truly glow.” Anderson continued, “For Steve’s kit we added a specially designed brain-box that controls the lighting system in each drum. There are 34 presets for colors that the drummer can switch as he is playing. These lights can also be controlled by the front-house lighting techs. For other ‘GLO-Kits,’ there is a total flexibility and the lighting interface is unique to each drummer’s needs. Therefore every ‘GLO-Kit’ we do is always a bit different from the last one because every player wants to control the lights a little bit differently based on his setup. The biggest difference with a Risen Drums ‘GLO-Kit’ can be defined by three main things: “First, we cut our own edges into the shell. This is a very tricky process because you do not want to melt the acrylic. You must cut the bearing edge differently than you would on a wood shell. We also want to maintain our own unique Risen sound, which always presents a challenge. Second, we use our own Risen lug system, which utilizes aluminum. This allows the shell to resonate more because aluminum is so light. Third, the venting system on acrylic shells is different than on wood. This is what I believe really sets Risen Drums apart. The result of Risen’s efforts is a spectacular drum set that stands out in any performance. 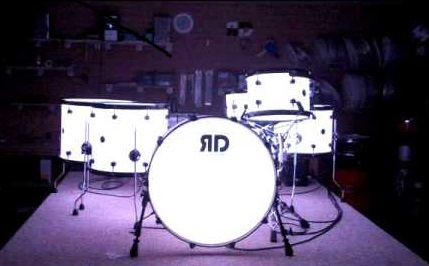 For more information on Risen Drums or to order your own ‘GLO-Kit,’ visit www.risendrums.com. * Steve recently put the ‘GLO-Kit’ up for sale for one lucky drummer to carry on the name. 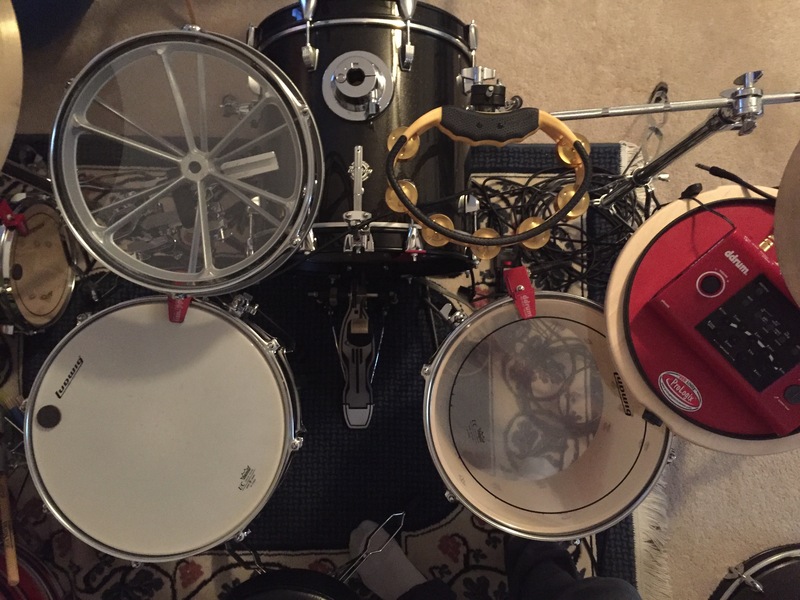 Last week I read an interesting article posted over on moderndrummer.com’s blog. 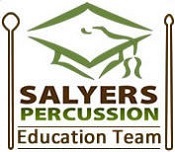 MD’s Educational Team weighed in on the Ergonomics of Drumming. Each member broke down their own preferences and why they chose them. This is a subject that I have often wondered about as my setup is a bit unorthodox. All of my drums and cymbals are set low and flat and I don’t even use a rack tom or ride cymbals. I’ve had some serious back problems over the years resulting in four back surgeries so ergonomics are a subject that I take seriously. For me personally having my drums setup low and close together promotes less bending and simplified arm motions. I have a drum-line background so stick height is also an important part of my style. My signature Rich Sticks promote healthy hands. Some may say it is economy of movement that results in Ergonomics. My base kit is a Ludwig Breakbeats that features a rototom and tambourine mounted in place of rack toms. My single crash and china cymbal sit just beyond that. The snare drum sits at belt height. My floor tom is lined up parallel and stands as close as I can get it without touching my leg. This enables me to play the kit without having to bend or reach. The only drawbacks are when I’m moving around the kit at a fast pace and accidentally hit more than one surface at a time. As I use ddrum triggers on all of my drums the sensitivity settings can be a curse at times. Historic Churches of Fredericksburg: Houses of the Holy: This book recalls stories of rebellion, racism and reconstruction as experienced by Secessionists, Unionists and the African American population in Fredericksburg’s landmark churches during the Civil War and Reconstruction eras. Using a wide variety of materials compiled from the local National Park archives, author Michael Aubrecht presents multiple perspectives from local believers and nonbelievers who witnessed the country’s Great Divide. Learn about the importance of faith in old Fredericksburg through the recollections of local clergy such as Reverend Tucker Lacy; excerpts from slave narratives as recorded by Joseph F. Walker; impressions of military commanders such as Robert E. Lee and Stonewall Jackson; and stories of the conflict over African American churches. The Civil War in Spotsylvania County: Confederate Campfires at the Crossroads: From 1861 to 1865, hundreds of thousands of troops from both sides of the Civil War marched through, battled and camped in the woods and fields of Spotsylvania County, earning it the nickname ‘Crossroads of the Civil War.’ When not engaged with the enemy or drilling, a different kind of battle occupied soldier’s boredom, hunger, disease, homesickness, harsh winters and spirits both broken and swigged. Focusing specifically on the local Confederate encampments, renowned author and historian Michael Aubrecht draws from published memoirs, diaries, letters and testimonials from those who were there to give a fascinating new look into the day-to-day experiences of camp life in the Confederate army. So huddle around the fire and discover the days when the only meal was a scrap of hardtack, temptation was mighty and a new game they called ‘baseball’ passed the time when not playing poker or waging a snowball war on fellow compatriots. Onward Christian Soldier: The Spiritual Journey of Stonewall: This is a story about faith. A story filled with the kinds of heartache and hardships that would leave many of us questioning our own beliefs. It is a love story that is filled with sorrow, testimony, hope and despair. It is a story that reaffirms the power of prayer and that all things in Him are possible. Ultimately, it is the story of a man who suffered greatly, but chose to embrace the Will of his Savior as the foundation for a legendary life. Onward Christian Soldier presents an intimate portrait of Confederate General Thomas Stonewall Jackson. Unlike the countless military studies that have come before, this inspirational book focuses on both the spiritual and historical milestones in the life of this American icon. Here are links to a couple feature-length articles I penned for Drumhead and Modern Drummer magazines. Both of these players have forged stellar reputations both on the road and in the studio. They were excellent interviewees and both shared valuable insights on navigating the music industry while managing sessions and performances.